Accessory Grab Bag Just $12.95 Plus FREE Shipping! You are here: Home / Great Deals / Accessory Grab Bag Just $12.95 Plus FREE Shipping! Head over to Cents of Style today and pick up an Accessory Grab Bag for Just $12.95 Plus FREE Shipping! Use promo code GRABBAG to get your deal & FREE shipping! 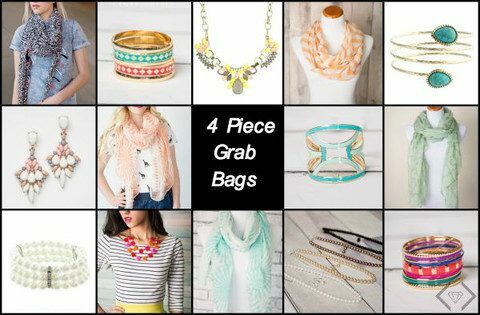 The 4 Piece accessory grab bags include 1 scarf and 3 pieces of jewelry selected by Cents of Style just for you! You know the great items they have so this is a slam dunk! Don’t wait – these won’t last long!